Animal Control Solutions Wildlife Control Experts provide complete Nuisance Wildlife Removal and Wildlife Control services throughout Fredericksburg and surrounding cities of Spotsylvania County Virginia. We are experts at removing all types of nuisance animals such as birds, bats, snakes, raccoons, squirrels, skunks, possums, groundhogs, beavers, muskrats and other nuisance animals of Fredericksburg Virginia. We are a local company that has been providing Nuisance Wildlife Removal throughout Fredericksburg, Virginia since 1993. Bats often become a nuisance animal within the Fredericksburg Virginia area. In the Fredericksburg, VA area bats will congregate within attics of homes, buildings and other man-made structures. Bats are known to colonize in large colonies upwards of 1000 bats. If you suspect that you have bats within your Fredericksburg, Virginia homes attic please contact Animal Control Solutions for your no obligation in home bat inspection. There are several types of bats within Fredericksburg, VA that will colonize in buildings and homes attics. These common house bats are the big brown bat and the little brown bat which are both found in this area of Virginia. 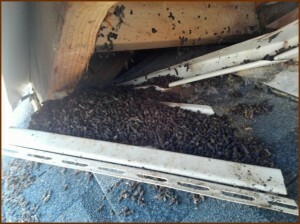 The photo here is representative of the damage that a bat colony can do if not properly taken care of. The result is usually a very large amount of bat guano buildup below the areas the bats are roosting near. In this example to the left, the bats were roosting in the soffit of a single family home. These bats had been in the attic for an extended period of time causing a large build of bat guano. Snake removal within the Fredericksburg Virginia area is another common call received by our office on a daily basis. 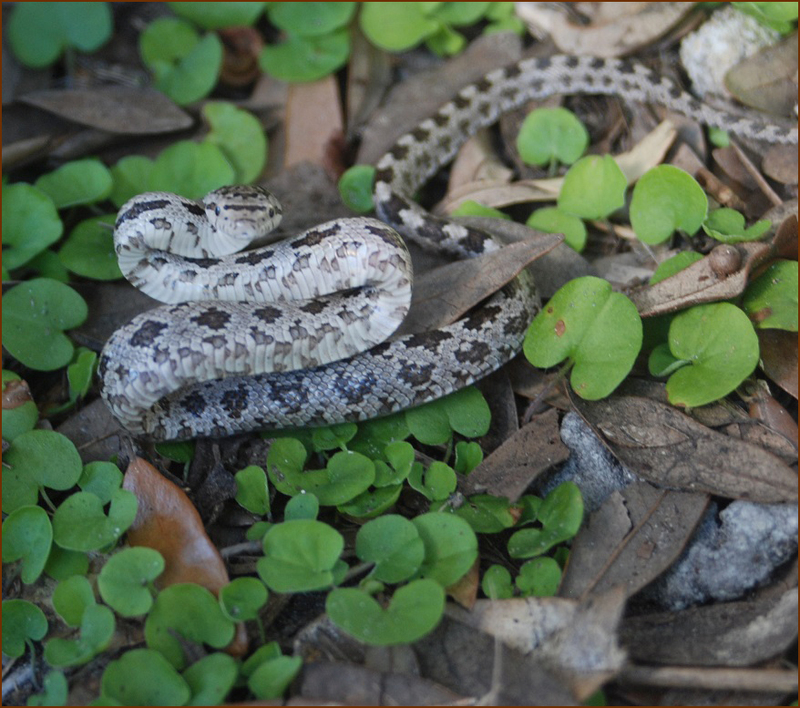 Commonly snakes will get into businesses, homes, garages, basements and even attics. Once they are in an attic they will then burrow holes into the insulation. This type of snake problem commonly occurs most often during winter months. 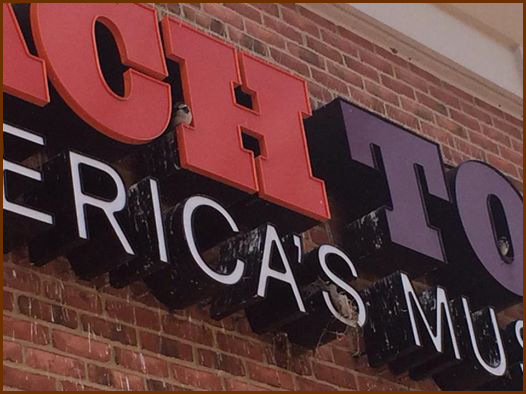 Bird removal within Fredericksburg Virginia is also very common call received by our office. 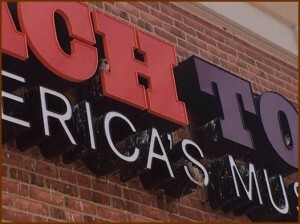 Birds often become a nuisance during the spring and early summer months and become a nuisance to businesses and commercial properties by roosting on store fronts such as grocery stores, signs, parking light fixtures and other buildings where people gather such as shopping malls and restaurants. There are also occasions when birds will get into a grocery store, or mall causing the business a major health hazard from the possible contamination of food with bird droppings. These birds will need to be captured and removed from inside the store or mall. This is a common service we provide for businesses throughout Virginia. We have several contracts with large big box stores to control bird problems and we are sure we can assist you you’re your Bird Problem. Squirrels are one of the most common animals seen with Fredericksburg Virginia areas. They run about power lines, across fence tops, in roadways and are very cute to watch until they chew a hole in the side of your house and run rampant in your attic! 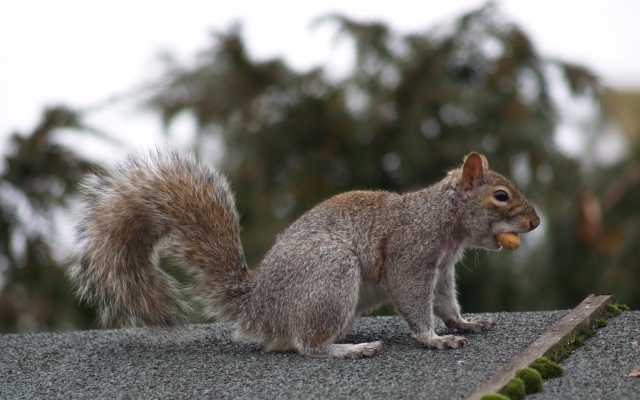 Squirrels are one of the most dangerous rodent animals to having in your homes attic because of the constant chewing. They can cause major damage to your homes wires, roof supports, attic fans and gable vents from this constant chewing. 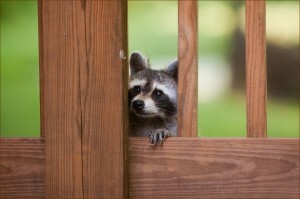 Raccoons are also a common pest animal that are found within Fredericksburg Virginia. These cute animals will invade attic areas and take up residence in your home or building. Don’t be fooled by raccoons cute and furry appearance they are one of the most destructive and aggressive animals that may invade your Fredericksburg home. These animals will do whatever it takes to protect their young and home. 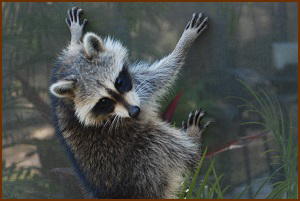 Once a raccoon has gotten into an attic they can destroy wiring, ductwork, insulation, attic vent fans and contaminate your attic with animal feces and urine. If you suspect that you have a raccoon living in your attic please call for a no obligation inspection today. We have the knowledge and experience to get rid of these pest before than have the opportunity to create serious damage to your home.